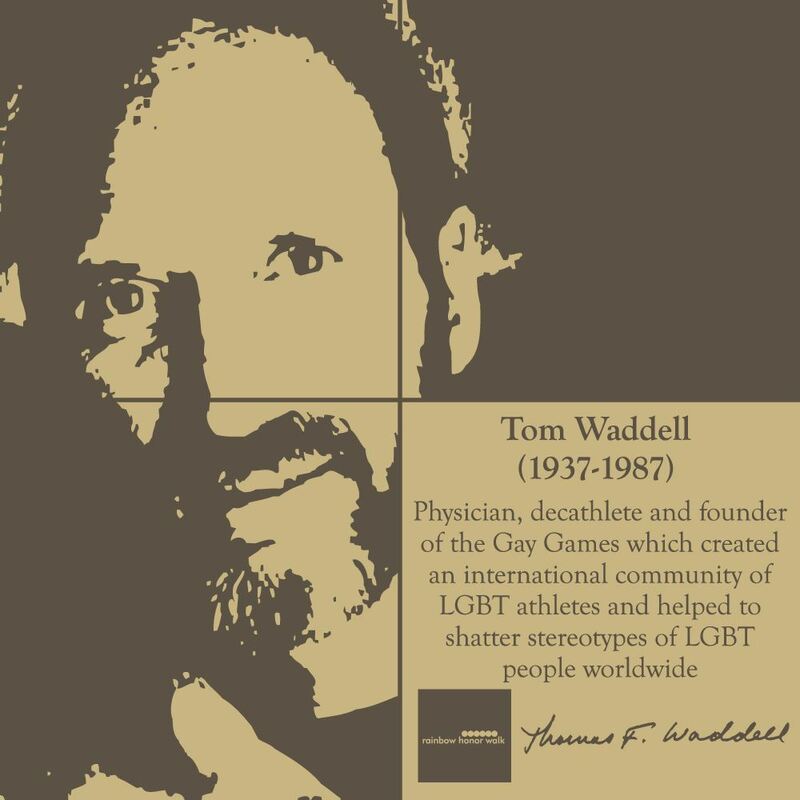 An Olympic decathlete who competed in the 1968 Mexico City Olympic Games, Tom Waddell is best known for founding the Gay Games, a sports competition modeled on the Olympics for artists and athletes of all sexual orientations. Waddell was born Thomas Flubacher on November 1, 1937 in Paterson, New Jersey to a Catholic family. Aware of his homosexual feelings in high school, he excelled in athletics as a means to compensate for them. His parents separated while he was in his teens, and at the age of fifteen he went to live with Gene and Hazel Waddell, for whom he did chores; they adopted him six years later. The Waddells were former vaudeville acrobats and encouraged Tom to take up gymnastics. Waddell attended Springfield College in Massachusetts on a track scholarship. Originally majoring in physical education, he switched to pre-medicine following the sudden death of his best friend and co-captain of the gymnastics team, an event that moved him deeply. At Springfield, he competed on the gymnastics and football teams and began training for the decathlon following his graduation in 1959. In the summer of 1959, he worked at a children’s camp in western Massachusetts, where he met his first lover, socialist Enge Menaker, then a 63-year-old man. The men remained close for the rest of Menaker’s life, which ended in 1985 when he was ninety years old. Waddell attended medical school at New Jersey College of Medicine, a division of Seton Hall University. He traveled on a U.S. State Department-sponsored track and field tour of Africa in 1962, and interned at Beth El Hospital (now Brookdale Hospital), Brooklyn, in 1965. Also in 1965, he journeyed from Brooklyn to participate in the civil rights demonstrations in Selma, Alabama. Drafted into the Army in 1966, Waddell became a preventive-medicine officer and paratrooper. Entering a course in global medicine, he protested when he found out that he would be shipped to Vietnam. Expecting a court-martial, he was instead unexpectedly sent to train as a decathlete for the 1968 Olympics. At the Mexico City Olympics, Waddell placed sixth among the 33 competitors. He broke five of his own personal records in the ten events. After discharge from the Army, Waddell served residencies at Georgetown University and Montefiore Hospital (The Bronx) before beginning a graduate fellowship at Stanford University in 1970. 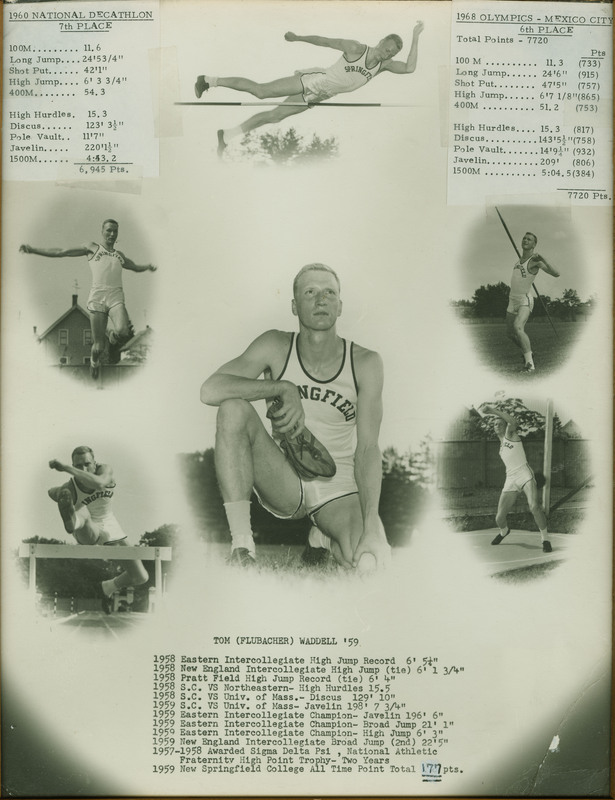 After injuring his knee in 1972 in a high jump while training, Waddell focused on medicine rather than athletics and began coming out to friends. In his first serious affair since his alliance with Menaker, he finally entered into a relationship with Charles Deaton, twelve years his senior, in 1974. The two men threw themselves into the emerging gay culture of 1970s San Francisco, even as Waddell continued to explore occasional relationships with women. Waddell’s medical background enabled him to find jobs easily and in exotic locales. He served in the Middle East as medical director of the Whittaker Corporation from 1974 through 1981. Part of his job entailed serving as a personal physician for a Saudi prince and a Saudi businessman, and he eventually became the team physician for the Saudi Arabian team at the 1976 Montreal Olympics. After leaving Whittaker, Waddell happened to attend a Bay Area gay bowling competition, which inspired him to consider organizing a gay sports event modeled on the Olympics. He took up the cause of the “Gay Olympics” by traveling across the country to drum up support. Despite the fact that the USOC had not previously protested when other groups had used the name, they alleged that allowing a “Gay Olympics” would injure them. They succeeded in securing an injunction just nineteen days before the first games were to begin. Nevertheless, the games, now re-christened the Gay Games, went forward and were a great success, perhaps because they emphasized sportsmanship, personal achievement, and inclusiveness to a far greater degree than the Olympics. 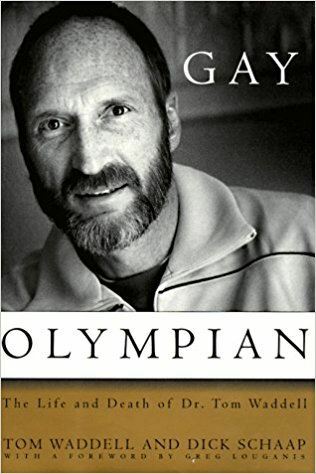 The battle over the right to use the term “Gay Olympics” continued in the courts and was not finally settled until 1987, when the Supreme Court of the United States, in a 5-4 decision, ruled in favor of the USOC and affirmed the USOC’s right to collect legal fees from Waddell. In 1981, Waddell met public-relations man and fundraiser Zohn Artman, with whom he fell in love and began a relationship. 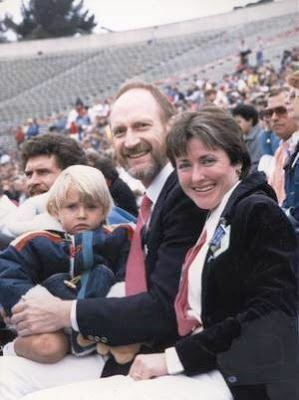 That same year, Waddell, who had longed to be a father, also met lesbian athlete Sara Lewinstein and they decided to have a child together. Their daughter Jessica was born in 1983 and they were married in 1985. Tom continued to pursue his calling, serving as a public health physician at a Civic Center clinic for the City of San Francisco. In 1985, Waddell was diagnosed with AIDS. 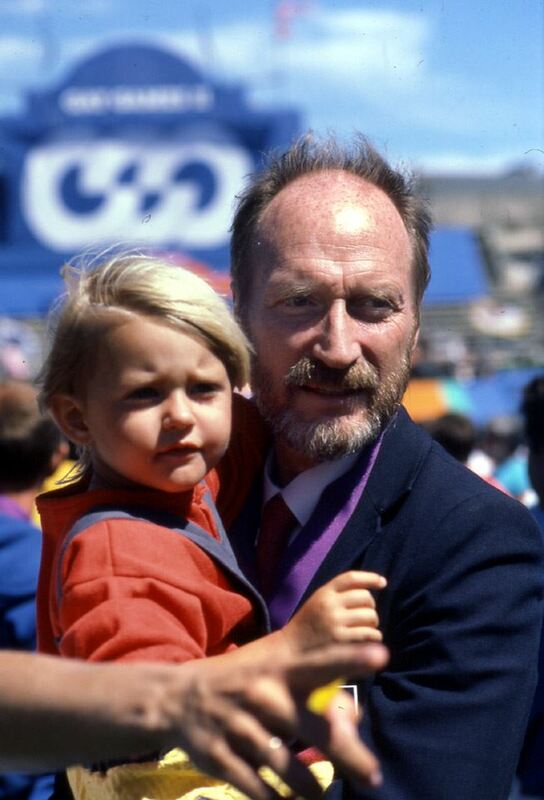 Although dogged by the lawsuit filed by the USOC to recover legal fees in the battle over the right to use the word “Olympics,” Waddell lived his final years with bravery and dignity. He saw the enormous success of Gay Games II in 1986, and even participated in it, winning a gold medal in the Javelin event. 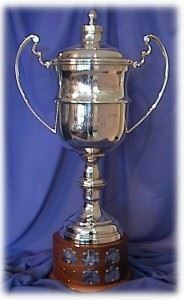 The Tom Waddell Award, given every four years at the Gay Games. 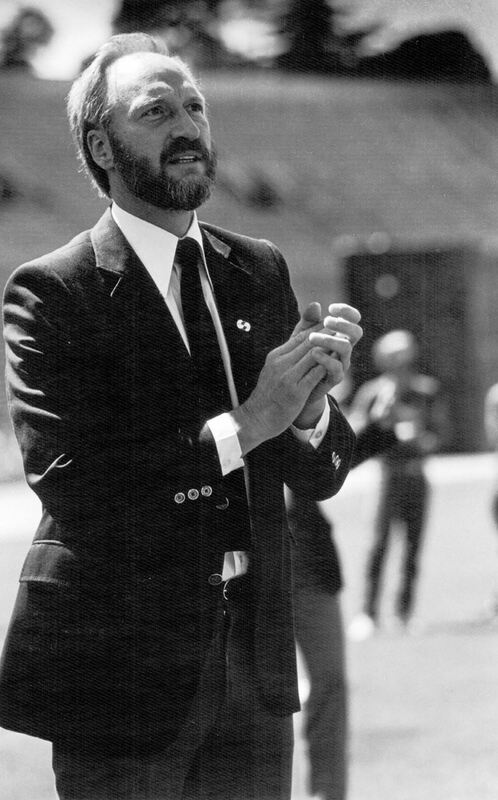 1) Since 1990, the Federation of Gay Games has named his highest honor the "Tom Waddell Award." It goes to two individuals at each quadrennial Gay Games. See the separate page regarding this prestigious award under the "About" pull-down menu above. 2) In November, 2014, the City of San Francisco renamed one of its streets for Waddell. The new Dr. Tom Waddell Place runs near the Civic Center and passes in front of the public health clinic where he worked. That health center was previously renamed for Waddell. Among those attending the formal unveiling of this new street was Tom's widow and Gay Games co-founder Sara Waddell Lewinstein and their daughter Jessica. Supervisor Jane Kim, who introduced the legislation to change the name of this street, was also present. 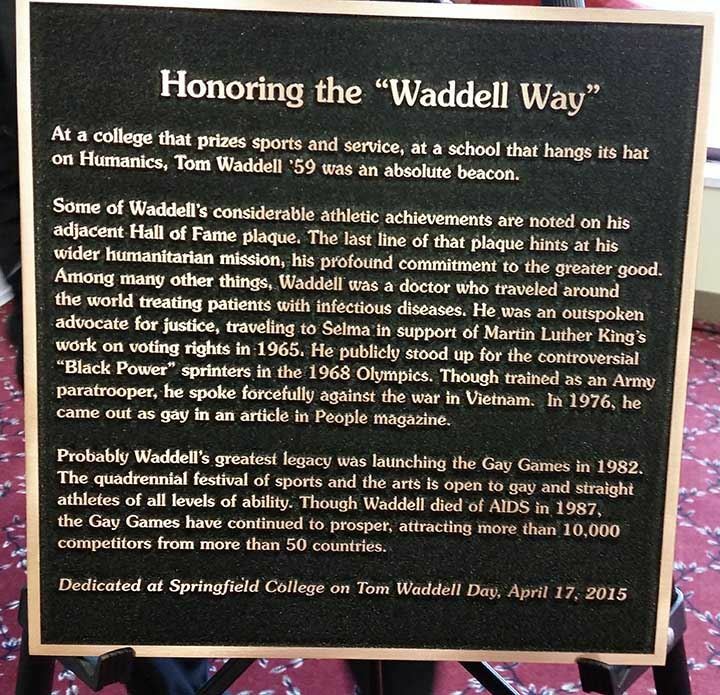 4) In April, 2015, Springfield College in Massachusetts (Tom Waddell's alma mater) held "Tom Waddell Day." It was a stirring half-day event attended by hundreds, including several of his fellow students from the class of 1959. It was organized by Professor Martin Dobrow, Distinguished Professor of Humanics, who worked closely with the Federation of Gay Games to assure that Tom Waddell was being accurately remembered at this event. The FGG was represented by Honorary Life Member Jeffry Pike who spoke live about Tom’s most visible legacy… the Gay Games. Sara Waddell Lewinstein and daughter Jessica prepared a welcome video that was shown at the event. 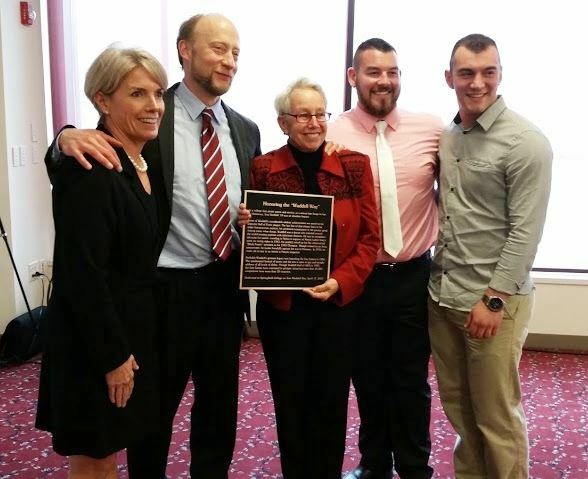 Delivering the keynote address was Springfield College graduate student Rob Kearney, a strongman champion and the first openly gay man to actively compete in his sport at the international level. 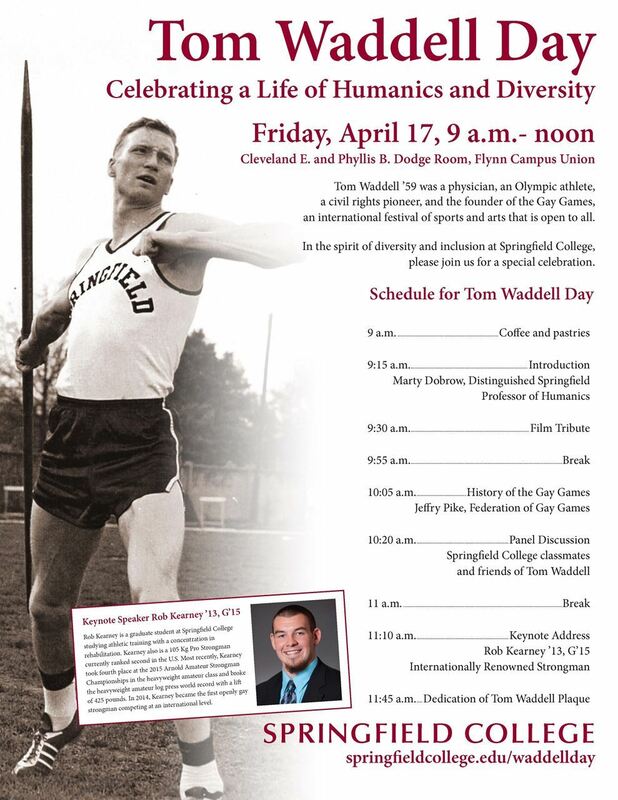 One of the goals of this event was to more accurately preserve Tom Waddell’s legacy at Springfield College. When asked if that goal was achieved, Pike said “The enthusiasm and determination to tell Tom’s story accurately impressed me. Professor Dobrow organized a meaningful and inclusive event that honored Tom Waddell beautifully. For the President of the school to stand up and reiterate the commitment of the College to address not only the injustice to Tom, but to other social injustices both on campus and in the community, moved many to tears."